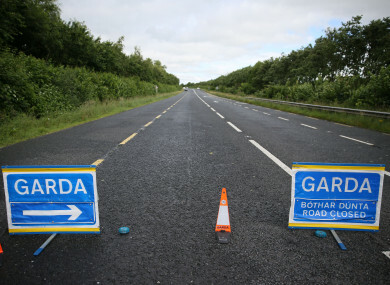 A WOMAN HAS been seriously injured in a single-vehicle collision in Co Meath. The incident happened on the Oldbridge to Donore road, 4km outside Drogheda, at around 2pm this afternoon. The driver and front seat passenger of the vehicle, both female, were taken to Our Lady of Lourdes Hospital in Drogheda, where one of the women’s injuries are described as serious. Gardaí in Ashbourne are investigating and have appealed to witnesses or anyone with information to contact Ashbourne Garda station on 01 801 0600, the Garda Confidential Line on 1800 666 111 or any Garda station. Email “Two women injured in serious single-vehicle collision in Meath”. Feedback on “Two women injured in serious single-vehicle collision in Meath”.